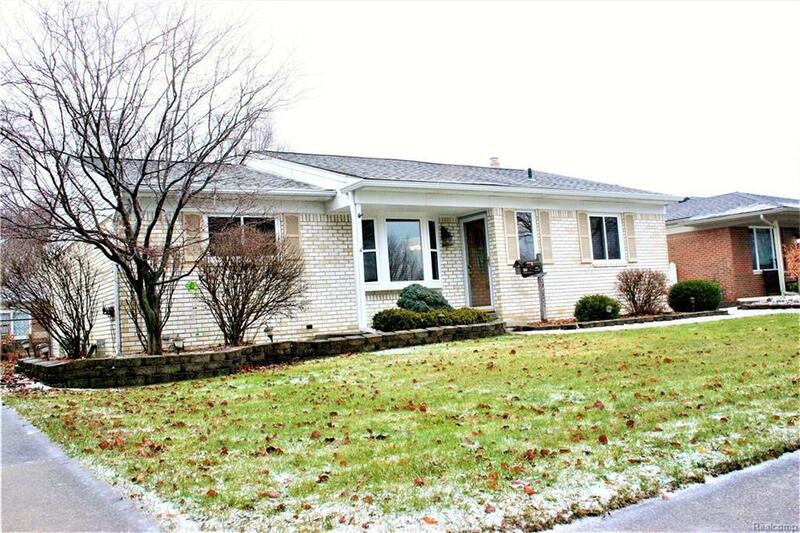 Come and see this warm and inviting three bed/two bath home in Sterling Heights! Beautiful hardwood floors are found throughout the dining room and living room. The upstairs full bathroom has a large vanity and completely re-glazed shower/bath tub (2014). The finished basement has a second full bathroom, laundry room and plenty of storage. There is a new hot water tank (2016) and new Nest thermostat to control heat/AC. You will enjoy the newly paved patio in the backyard along with plenty of private space in this fenced area. New gutters, new sump pump drainage system, rebricked chimney and newer roof (2014). This house is surrounded by great neighbors, and you are also walking distance away from the new and improved Dodge Park which includes an excellent place for play/fitness, splash pad, Farmerâs Market and several events year-round. You do not want to miss out on this exceptional home!